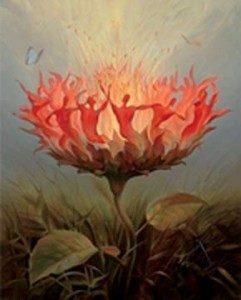 This new program will teach embodiment and dance as energy medicine, meditation, and channeling. Participants experience and learn to host different styles of dance meditation and breath work. This program also includes daily complimentary workshops, ranging from archetypes to cacao to drumming, designed to enhance the dance meditation process. Thurs, March 21, Only breakfast served, Checkout by 10am. ✦ Wed, March 20: Movement Techniques and Styles, a Review of the week’s practices. Students and staff join together to open our sacred space for the program, tapping in to New Moon energy. We will work with intention and other magick to gain clarity and invoke guidance. Here, we will also go over the program schedule and other helpful details to make sure you get the most out of your experience. FOR FULL PROGRAM PARTICIPANTS ONLY. What is sacred space and how do you access it? In this workshop, we will learn how to create specific energetic environments through intention and ritual, personalized according to your own beliefs and style. 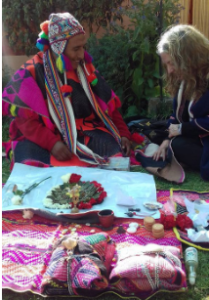 In the Peruvian Andes, offerings are done to honor Pachamama (Mother Earth) and the Apus (mountain spirits) in particular, as well as the cosmos and all the celestial beings. Creating offerings are a wonderful way to connect with a part of the culture that has been, and still is, in practice throughout centuries. In this workshop, you’ll learn to create your own simple offering in a traditional way, using just four native products. After our work is completed, the offerings will be burnt so that the ashes go down to Pachamama and the smoke goes up to the heavens. Pranayama, the yogic science of breath control, is one of the most powerful ways to work with your own energy. Through pranayama, we can become more connected to the breath and its power to influence our mood, body and awareness. 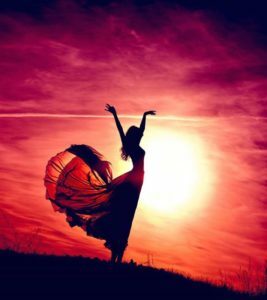 As a central technique to all the New Mystic School modules, it is an ally in all energy medicine and sacred ritual, as it cultivates an authentic connection to the Self. Here, we will learn about this ancient tradition and its basic philosophy, as well as practice several simple yet powerful techniques to enhance our mind-body-spirit connection. From this workshop, you will be able to start practicing and weaving these techniques into your life and classes. Eat only a light breakfast before 9am in order to effectively participate in all of the breath techniques. Archetypes are universal symbols and energies that manifest throughout creation. By consciously connecting to different archetypal families, we can reveal much about ourselves and our world. Here we will creatively explore some key archetypes that will play into the evening’s dance module. Mindfully connecting to our dreams opens a new dimension that helps us better understand ourselves, our relationships and our realities. We will creatively explore the dreamscape in this mind-opening workshop, and gain tools to continue this journey on your own or with groups. Bring recent dreams that have caught your attention. Getting our head to understand and decode our heart, and vice versa, is no easy task. Yet learning how to work with breath, touch and movement, as well as making our declarations, can move us into greater harmony and high coherent states. This experiential workshop will do just so, using techniques that aim to work with both the logical five-sense world as well as the irrational world beyond the senses. This moves us toward realizing ourselves as more complete and whole, uniting our finite physical selves with our infinite spiritual totality. Eat only a light breakfast before 9am in order to effectively participate in all of the breath techniques. 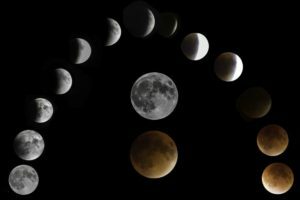 In this dynamic workshop, we will explore techniques to free our voices and use them in creative and meditative ways, as well as look at the tradition of drumming in shamanic lineages, and practice some simple ways to deepen states of consciousness through rhythm. You are welcome to bring your own percussion instrument, but we will also provide some for your use. We each contain the masculine and feminine, and by exploring and balancing these energies, we become a more harmonious whole. As we take a short hike to a lesser-known local sacred site, we will go on this journey through meditation, self-reflection and other exercises. Bring sunscreen, hats, rain coat, water and snacks. Through this workshop and ceremony, you will gain an understanding about the sacred tradition of Cacao as a heart-opening medicine, as well as have your very own first-hand experience. Are you ready to really open your heart? Eat only a light breakfast this day. Let’s consider the music! 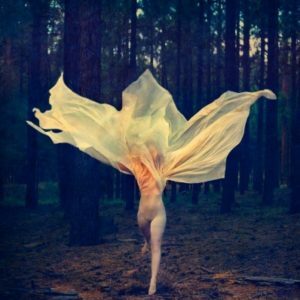 How do we choose what styles and songs to use for our sacred dance sessions? Where do we get music from and how do we put it all together? Here we will cover these topics and more, getting a very practical start to music selection through technology. Bring a computer if you can, and enroll ahead of time so you can get a head start downloading some free software. Throughout the program, we will have explored multiple techniques for embodiment and dance. Here we will review the techniques and experiences, and give program participants a chance to ask questions and anchor in their ability to host the respective techniques. FOR FULL PROGRAM PARTICIPANTS ONLY.